BrainDamage.Net - research and community news, information on central nervous system anatomy, damage, repair, rehabilitation, conference information, and links to private, academic and governmental agencies. Study builds argument that infections may cause autism - Women who had active infections with genital herpes early in pregnancy were twice as likely to have a child with autism than women who did not, a team of researchers found. Stanford scientists track the rise and fall of brain volume throughout life - Stanford scientists have shown how the brain changes throughout life, and created a standard curve that can be used to assess whether patients are maturing and aging normally. This resource could help diagnose or monitor people with mental health conditions, learning delays or other diseases. Wearable Robots on the Rise to Help Paraplegics Walk - One manufacturer, Ekso, recently learned that its version of the high-tech exoskeleton has helped paralyzed patients walk 7 million steps. That’s up from 1 million steps less than a year and a half ago. “Ekso is becoming more commonplace,” Ekso Bionics spokeswoman Heidi Darling told ABCNews.com. “We are approaching 50 [rehabilitation] centers and 2,500 users. Stanford bioengineers create circuit board modeled on the human brain - Video link - Stanford bioengineers have developed a new circuit board modeled on the human brain, possibly opening up new frontiers in robotics and computing. - The BrainScaleS project - The BrainScaleS project aims at understanding function and interaction of multiple spatial and temporal scales in brain information processing. BrainScaleS (Brain-inspired multiscale computation in neuromorphic hybrid systems) is an EU FET-Proactive FP7 funded research project. The project started on 1 January 2011. It is a collaboration of 19 research groups from 10 European countries. - The SyNAPSE project - IBM researchers found inspiration for a new computer chip design from the most powerful, efficient information processing device in the world: the human brain. Rise of the human exoskeletons - Robotic or mechanical exoskeletons could offer humans the kind of protection, support and strength they afford in nature. Mind-controlled exoskeleton lets paralysed people walk - MindWalker – the world's first exoskeleton that aims to enable paralysed and locked-in people to walk using only their mind. Master monkey's brain controls sedated 'avatar - Brain scans read the master monkey's mind and were used to electrically stimulate the avatar's spinal cord, resulting in controlled movement. The team hope the method can be refined to allow paralysed people to regain control of their own body. Mind-controlled Quadcopter Demonstrates New Possibilities for People Who are Paralyzed - A brain-computer interface allows people to use only their thoughts to control a flying quadcopter. With support from the National Science Foundation (NSF), biomedical engineer Bin He and his team at the University of Minnesota have created the interface with the goal of helping people with disabilities, such as paralysis, regain the ability to do everyday tasks. Brain implants may help the injured who suffer memory loss - The Defense Advanced Research Projects Agency (DARPA) wants to examine possibilities for recovery by means of brain implants. - Retrieval practice improves memory in severe traumatic brain injury - Kessler Foundation researchers have shown that retrieval practice can improve memory in individuals with severe traumatic brain injury (TBI). IMES System for Prosthetics - The Alfred Mann Foundation (AMF) today announced the first subject, a U.S. Marine, SSgt James Sides, as a recipient of its highly anticipated IMES System (implantable myoelectric sensor) – an experimental system that holds the promise of being the first minimally invasive, intuitive, multi-channel control system for prosthetics intended for long term use. ‘Neural dust’ brain implants could revolutionize brain-machine interfaces and allow large-scale data recording - The neural dust design promises to overcome a serious limitation of current invasive brain-machine interfaces (BMI): the lack of an implantable neural interface system that remains viable for a lifetime. Current BMI systems are also limited to several hundred implantable recording sites, they generate tissue responses around the implanted electrodes that degrade recording performance over time, and are limited to months to a few years. Brain machine interface can control prosthetic arm - A brain-machine interface can be used to control an anthropomorphic prosthetic arm. - Samsung Demos a tablet controlled by your mind - AN EEG cap to interact with your mobile devices. - Brain direct: In pursuit of an aircraft-mind connection - Future pilots might be invited to have a tiny sensor surgically implanted in their brain, extending the fly-by-wire concept straight to the motor cortex. - Brown University creates first wireless, implanted brain-computer interface - Researchers at Brown University have succeeded in creating the first wireless, implantable, rechargeable, long-term brain-computer interface. The wireless BCIs have been implanted in pigs and monkeys for over 13 months without issue, and human subjects are next. Researchers tie Gulf War illness to brain damage - Researchers say they have found physical proof that Gulf War illness is caused by damage to the brain — and that proof may ultimately help civilians who suffer from chronic fatigue syndrome and fibromyalgia.- Gulf War syndrome - Gulf War syndrome (GWS), also known as Gulf War illness (GWI), is a chronic multisymptom disorder affecting returning military veterans and civilian workers of the Persian Gulf War. - Gulf War Veterans Unexplained Illnesses - A prominent condition affecting Gulf War Veterans is a cluster of medically unexplained chronic symptoms that can include fatigue, headaches, joint pain, indigestion, insomnia, dizziness, respiratory disorders, and memory problems. This monkey controls a robot on the other side of the world — just by thinking - a monkey learns to control virtual avatars and real-world machines with no physical contact. Can Nerve Endings in the Tongue Help Us Treat Traumatic Brain Injury? 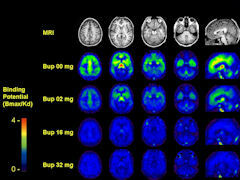 - tongue stimulation appears to enhance therapy for some neurological disorders. The Cost of War Includes at Least 253,330 Brain Injuries and 1,700 Amputations - Here are indications of the lingering costs of 11 years of warfare. Nearly 130,000 U.S. troops have been diagnosed with post-traumatic stress disorder, and vastly more have experienced brain injuries. Over 1,700 have undergone life-changing limb amputations. Over 50,000 have been wounded in action. As of Wednesday, 6,656 U.S. troops and Defense Department civilians have died. This is a new clinical tool that will aid clinicians in the evaluation of NED in patients who have experienced a mTBI and have ongoing symptoms. The toolkit assists primary care providers with assessing and managing patients with co-occurring TBI and psychological health (PH) disorders. An all-encompassing, quick reference on the assessment, treatment and management of patients with mild TBI and related symptoms. Order hard copies of the Mild TBI Pocket Guide, contact DVBIC at info@dvbic.org or call 1-800-870-9244. Soldiers' brain damage similar to football players - Autopsies in four soldiers who served in the war in Afghanistan reveal similar signs of brain damage that has been seen in NFL, and other professional athletes with a history of head trauma. Brain injury survivor back to running marathons - FORT WORTH, Texas - A runner is well on his road to recovery, two years after a traumatic brain injury. Problem Drinking Linked to Brain Damage - Long-term alcohol abuse can result in significant damage to the brain. Chronic drinking leads to reduced cortical thickness in frontal and temporal brain regions - Researchers already know that chronic misuse of alcohol can cause widespread damage to the brain. While previous studies examined cortical atrophy in individuals with alcoholism, none examined alcohol-associated atrophy using cortical thickness measurements to obtain a regional mapping of tissue loss across the full cortical surface. This study does so, finding that alcohol damage occurs in gradations: the more alcohol consumed, the greater the damage. ALCOHOLS DAMAGING EFFECTS ON THE BRAIN- National Institute on Alcohol Abuse and Alcoholism Publications Distribution Center. Undetectable blood vessel damage linked to signs of age - Tiny clots in the brain may be the cause of some signs of old age such as stooped posture and restricted movement, say US scientists. Football and traumatic brain injury: a secret history of the NFL - As the neurological origins of mental illness and physical dysfunction become more easily identifiable, a steadily increasing number of NFL veterans are beginning to trace their own, previously inexplicable, difficulties to injuries suffered on the field of play. - Players Brain Injury Lawsuit Threatens the NFLs Long Term Prospects - Seventy-five former football players are suing the NFL, saying the league concealed the risk of brain injuries for nearly a century. Traumatic brain injury doubles risk of later dementia - A large study of older war veterans suggests those who experienced traumatic brain injury (TBI) during their lives had more than two times the risk of developing dementia. 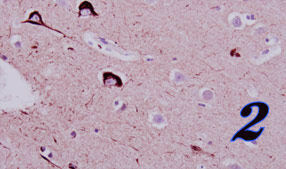 - NFL Players May Be More Vulnerable to Alzheimer's Disease - Retired NFL players are more likely to develop mild cognitive impairment (MCI), a form of dementia that can lead to Alzheimer's disease, than similarly aged men who didn't play football, report researchers in a study presented Monday at the Alzheimer's Association International Conference in Paris. - PTSD Linked to a Near Doubling of Dementia Risk in Veterans - In the first study to suggest posttraumatic stress disorder (PTSD) may be an independent risk factor for dementia, the disorder, which reportedly affects 17% of veterans returning from the current conflicts in Iraq and Afghanistan, was associated with a 2-fold increased risk for incident dementia in older veterans. New CU study shows acupressure effective in helping to treat traumatic brain injury - The results indicate a link between the acupressure treatments and enhanced cognitive function in study subjects with mild traumatic brain injury, or TBI. Keck Foundation funds work on tiny, implantable computers to restore lost brain functions - The neurochip can record nerve cell activity in one part of the brain, process this activity and then stimulate cells in another brain region. The battery-powered device operates continuously during free behavior. Implantable Neurochips to Restore Brain Functions - a 3 Year, 1 Million Dollar Project - Neuroprosthetics (Wikipedia) - New Pitt Projects Will Test Brain Computer Interfaces for People with Spinal Cord Injury - Researchers at the University of Pittsburgh have been awarded funding for two projects that will place brain-computer interfaces (BCI) in patients with spinal cord injuries to test if it is possible for them to control external devices, such as a computer cursor or a prosthetic limb, with their thoughts. Epilepsys Big, Fat Miracle- The diet, which drastically reduces the amount of carbohydrates he takes in, tricks his body into a starvation state in which it burns fat, and not carbs, for fuel. Remarkably, and for reasons that are still unclear, this process — called ketosis — has an antiepileptic effect. - Gluten Sensitivity and the Impact on the Brain - gluten sensitivity can lead to disorders of brain function. Young player had brain damage more often seen in NFL veterans - NFL player Chris Henry's brain was examined by doctors, who found evidence of brain damage, called chronic traumatic encephalopathy, that has been observed in retired players who've had many concussions. Unlike those older players, Henry was 26 when he died. Its effects are mainly neurobehavioral. These symptoms include poor decision-making, behavioral problems, failure at personal and business relationships, use of drugs and alcohol, depression and suicide. 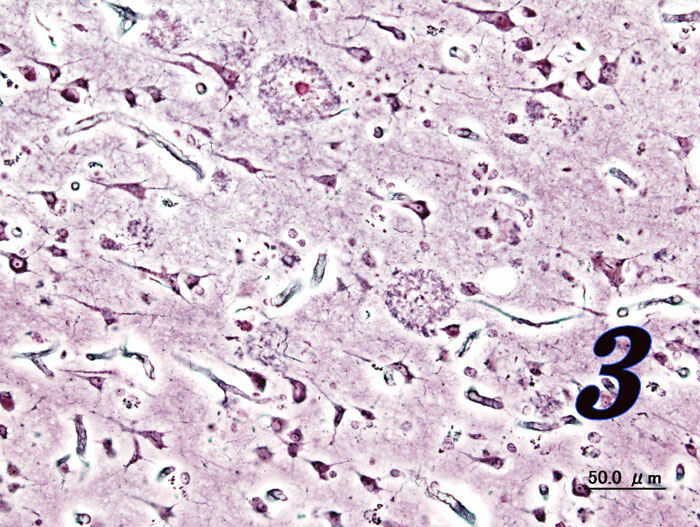 (Image 1 - sample of healthy brain tissue; Image 2 - brain sample from Chris Henry; Image 3 - sample of brain tissue from Alzheimer's patient)(Images 1 and 2 from CNN.com, Image 3 from Wikimedia Commons). NINDS Transient Ischemic Attack Information Page - A transient ischemic attack (TIA) is a transient stroke that lasts only a few minutes. It occurs when the blood supply to part of the brain is briefly interrupted. - Transient Ischemic Attack (EMedicine) - Transient ischemic attack (Medline) - Transient Ischemic Attack (TIA) - Topic Overview - Some people call a transient ischemic attack (TIA) a mini-stroke, because the symptoms are like those of a stroke but do not last long. A TIA happens when blood flow to part of the brain is blocked or reduced, often by a blood clot. After a short time, blood flows again and the symptoms go away. Member Of NFL Hall Of Fame Diagnosed With Degenerative Brain Disease - The Center for the Study of Traumatic Encephalopathy (CSTE) at Boston University School of Medicine (BUSM) has announced that a recently deceased member of the NFL Hall of Fame suffered from the degenerative brain disease Chronic Traumatic Encephalopathy (CTE) when he died, becoming the 10th former NFL player diagnosed with the disease. 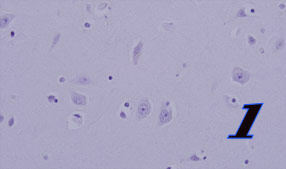 -Chronic Traumatic Encephalopathy Diagnosed In Deceased Former College Football Player - The Center for the Study of Traumatic Encephalopathy (CSTE) at Boston University School of Medicine (BUSM) has announced that a deceased former college football player who died at age 42 was already suffering from the degenerative brain disease, Chronic Traumatic Encephalopathy (CTE). - Giving Athletes A Heads-Up On Concussions - New research suggests that sports-related head trauma can do lasting damage. - Tackling Chronic Traumatic Encephalopathy in the NFL: Experts Speak Out - American Academyu of Neurology interviews Ann McKee, MD, Associate Professor of Neurology & Pathology at the Boston University School of Medicine and Ira R. Casson, MD, an attending neurologist at Long Island Jewish Medical Center and co-chairman of the NFL Committee on Mild Traumatic Brain Injury. - Dementia pugilistica - Dementia pugilistica (DP), also called chronic traumatic encephalopathy (CTE), chronic boxer’s encephalopathy, traumatic boxer’s encephalopathy, boxer's dementia, chronic traumatic brain injury associated with boxing (CTBI-B) and punch-drunk syndrome ('punchy'). Researchers optimizing progesterone for brain injury treatment - multisite phase III clinical trial called ProTECT III will begin to evaluate progesterone's effectiveness for treating traumatic brain injury early next year. NINDS Neurosarcoidosis Information Page - Neurosarcoidosis is a manifestation of sarcoidosis in the nervous system. Sarcoidosis is a chronic inflammatory disorder that typically occurs in adults between 20 and 40 years of age and primarily affects the lungs, but can also impact almost every other organ and system in the body. Web site contents © Copyright BrainDamage.Net 2008-2019, All rights reserved.